We Filipinos are very complex, and somehow our ancestors have mapped out our psyche. Our language has been equipped with terms that pertain only to traits unique to us Pinoys, and some traits although common too with other cultures, we have our own terms to call it. Among them is "Balat-Sibuyas." Sibuyas or Onion, one of the world's most popular cooking ingredient, thrives plenty in the Philippines. The skin is very thin and and easily removed, and upon this observation the popular idiom came from. You will probably hate the people branded as balat-sibuyas. Its not the same thing as being sensitive. Well yeah, somehow being sensitive is connected, but in a very wrong way. Balat-sibuyas persons are so sensitive almost to the point of paranoia. Tell them something, they take it very seriously, or misinterpret it totally. Most of the time, you will be very, very careful when talking in front of such a person. Being balat-sibuyas, one only cares about self. He or she becomes inconsiderate about others and apparently, feels unaccepted. Tell a balat-sibuyas some feedback, it will be taken negatively no matter the context. Very sad isn't it? Sensitivity is a good thing, especially if one is sensitive to other people around. If you are just sensitive about yourself, you might find out later on what's just left...is you. 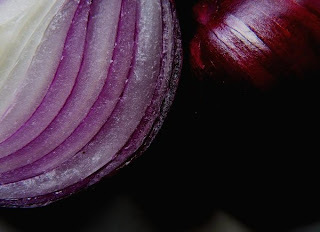 Onions are great for cooking, but if persons get associated with onions, it gets stinky.